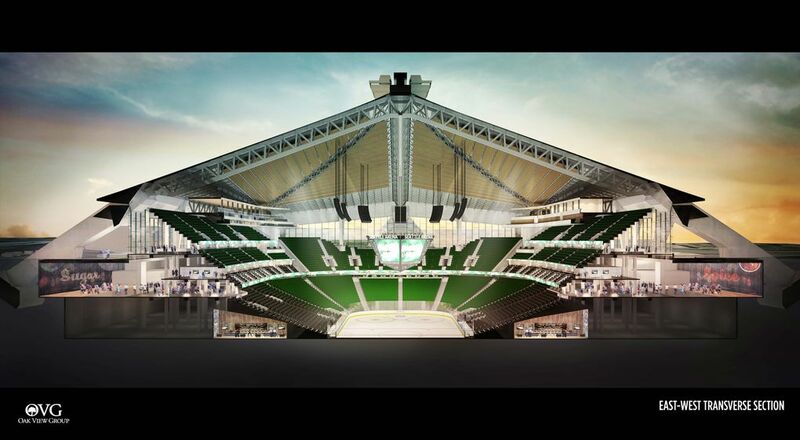 The Seattle City Council will decide Monday whether to approve a Memorandum of Understanding (MOU) between the city and Los Angeles-based Oak View Group for a $600 million renovation of KeyArena. Interested observers include the NHL and NBA. Nineteen months and two days since the Seattle City Council last voted on a sports-arena project, the NHL and NBA again will be eyeing the dais with keen interest. Both leagues, especially the NHL in the short term, view Seattle as a potential expansion or relocation site. But they have been disappointed by the lack of progress toward building a modern, state-of the-art arena within city limits. 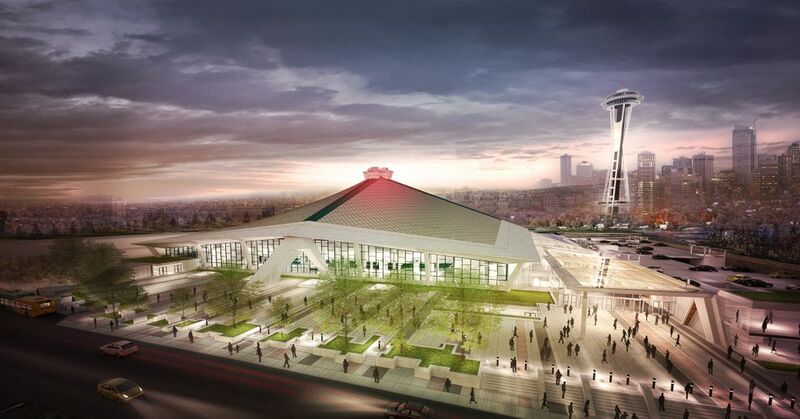 That could change Monday, as the council decides whether to approve a Memorandum of Understanding (MOU) between the city and the Los Angeles-based Oak View Group for a $600 million renovation of KeyArena. Given our city’s recent history, nobody is counting KeyArena as renovated yet. But the conditions entering Monday’s vote are vastly different from the last time somebody tried — and failed — to push an arena plan through council. 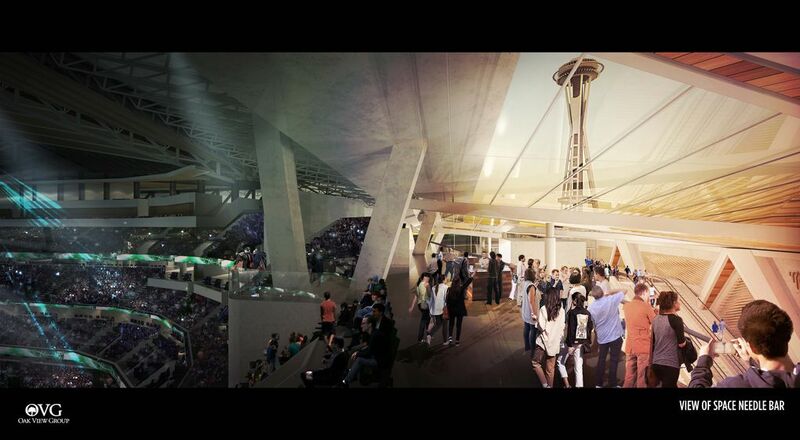 That previous vote on May 2, 2016, was for a different project, with entrepreneur Chris Hansen offering to build a new arena in the city’s Sodo District. After ample delays — some caused by Hansen — the project finally came up for a vote. Hansen needed to acquire a portion of Occidental Avenue South — the street ran through where the middle of the court and center ice would be — and offered to pay millions plus benefits for it. Some council members had doubts about the project’s viability. But ultimately, when voting day arrived, the council was widely expected to approve the project. In a stunning blow, however, the council rejected Hansen’s plan by a 5-4 margin, effectively killing it. The results were as dramatic as it gets, with Lorena Gonzalez casting the decisive “No’’ vote as audible gasps rose from the packed chambers. Might that happen again Monday? Anything’s possible. But OVG did its homework to avoid some of the pitfalls that sank Hansen’s project. Primarily, OVG built consensus ahead of time with both the council and the community at-large. It never encountered major opposition the way Hansen did with the Port of Seattle, various maritime unions and sports teams in Sodo. That opposition plagued Hansen’s group up to the vote. OVG has encountered some recent pushback from local musicians, but others in the entertainment industry countered that by supporting the KeyArena redo. It never became the firestorm Hansen encountered. Politicians dislike supporting projects with backlash from major players. Or even from minor ones, such as the various citizens’ groups OVG spent months courting via meetings and advisory panels. OVG tried to put out fires before they got started and never gave politicians reason for alarm. With the Sodo project, too many powerful figures lined up against it. Not just the Port. Or the Mariners. But union members and the Seahawks as well. Paul Allen’s First & Goal company was complaining to the city about potential event scheduling problems with the Sodo arena as far back as early 2015. Faced with voting for a continued headache or making a problem go away, the council chose the latter. OVG also has avoided contingencies to its construction plans. Hansen had a five-year MOU with the city that provided up to $200 million in public-bond funding if he first landed an NBA team. Problem is, once he failed to acquire the Sacramento Kings in 2013, that team never was acquired. It didn’t help that NBA commissioner Adam Silver kept saying Hansen was unlikely to land a team before his five-year deal ran out. Then-Mayor Ed Murray urged Hansen to consider abandoning the public-funds component, adding more private money and seeking an NHL team first. But Hansen didn’t. So as the vote neared, many council members wondered why they were voting on an arena that appeared to have no chance of getting a team in time to actually be built. This critical aspect often gets overlooked by Sodo supporters, but the council didn’t even want to set a date for the vote until Murray apparently strong-armed them into it. So there were warning signs well ahead of the vote that it might not go well. This time around, there aren’t any. Hansen’s deal expired Sunday, paving the way for the city to partner with OVG. 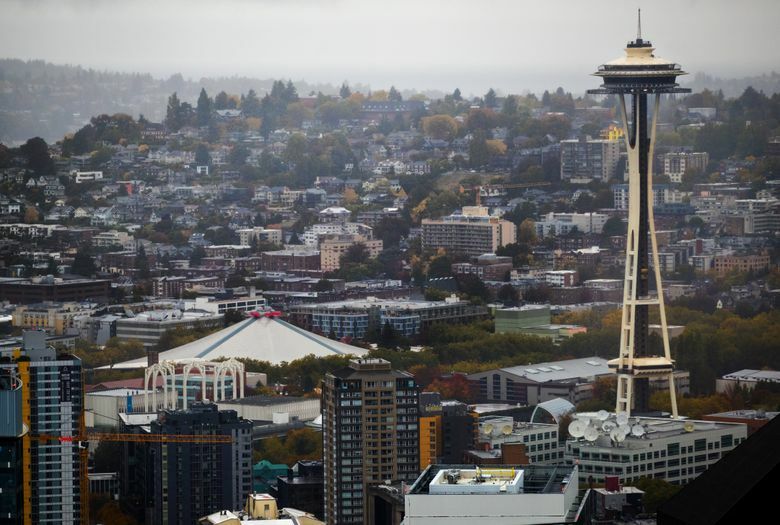 There are hints the NHL could make a Seattle franchise announcement in the months ahead. It’s worth noting, though, that OVG has pledged to renovate with all-private funds regardless of whether teams come. There are no contingencies. Hansen has since offered to build with all-private money as well. But he wouldn’t have begun building unless he got a team. That contingency apparently remains a non-starter in the eyes of the greater council. It’s doubtful the council would torch Hansen’s project like that and then vote down the OVG proposal. That would leave us with nothing and undoubtedly infuriate sports fans, citizens groups and major business players alike. After all, OVG is offering to fix a city asset and solve a problem the council had spent years worrying about. That’s different from before the last vote, when Hansen’s plan in Sodo was going to risk leaving KeyArena and taxpayers in the lurch. So don’t expect any similar dramatic endings Monday. Though no political vote is 100 percent certain, there aren’t enough sparks to blow this whole thing up again. It might not be a unanimous vote in favor. But OVG almost certainly did enough advance legwork to ensure it won’t be a defeat.